Here at O'Neill Vintage Ford, we are passionate about the famous Model A Ford. 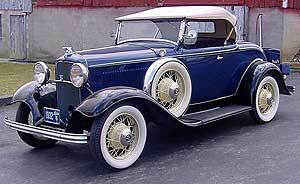 We offer over 2500 new replacement parts for the Model A. 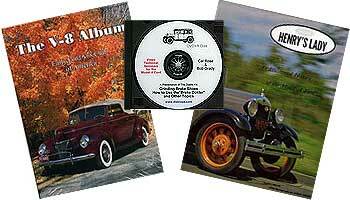 Although we cater mainly for the Model A ford, we also carry a selection of spares for the flathead Ford V8 cars. The 32 Ford (or Deuce as they are commonly known with hot rod enthusiasts) started this phenomenon when Henry Ford launched his V8 powered car in 1932. Since then the Ford cars during this era of motoring history has a following of collectors and restorers that Henry Ford could never have dreamed of. The English Ford V8 Pilot also has a huge following in the UK. 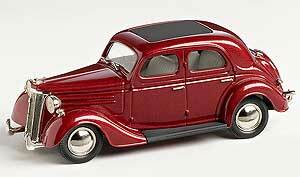 Many of the American Early Ford V8 auto parts will fit the V8 Pilot as the engine and gearbox are the same. check out the Ford V8 parts listings! We are dealers for this great product and offer the full listing of service parts available for the Stromberg range of Carburetors. We are also dealers for a great product Gibbs Brand Lubricant. - EXCELLENT for Waterproofing and Preventing Rust on those Fresh Welds! - Lubricate Computer Hard Drive Bearings! - Clean, Protect Guitar Frets, Necks, Bodies, Bridges etc.! - Starter fluid for mowers, snow-blowers and weed wackers! !